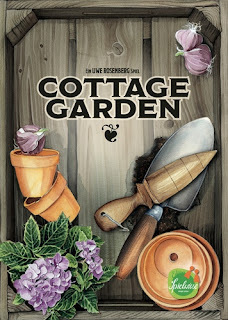 New from renown game designer, Uwe Rosenberg and game #8 in Stronghold Games' The Great Designers Series is Cottage Garden. Cottage Garden is a 1 to 4-player game where players compete to create the best gardens. They will each work two beds simultaneously, visiting the central market to gather their supplies. Once a bed is completed, it is scored and then replaced with a fresh bed. 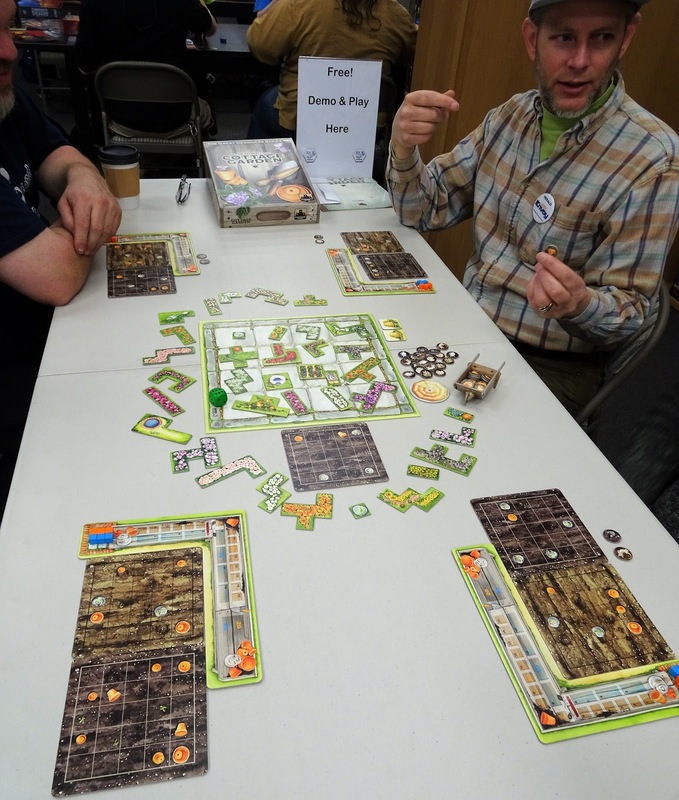 After a fifth lap through the market, the player with the most points in completed gardens wins. Other Uwe Rosenberg designed games include Agricola, Bohnanza, Caverna, Feast For Odin, Fields Of Arle, Le Havre, Le Havre: The Inland Port (2-player), Patchwork (2-player), and others. 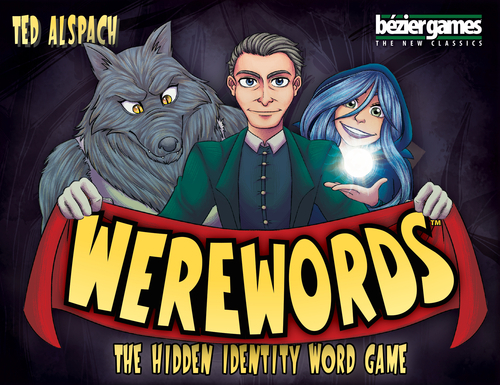 Werewords is a word deduction party game for 4 to 10 players. Players guess a secret word by asking "yes" or "no" questions. Figure out the magic word before time is up and you win. However, one of the players is secretly a werewolf who is not only working against you, but also knows the word. If you don't guess the word in time, you can still win by identifying the werewolf. Additionally, one player is the Seer, who knows the word, but has to be careful not be too obvious when helping you figure it out, if the the word is guessed, the Werewolf can pull out a win by identifying the Seer. Deadpool Just Deadpool is a 35-card expansion for Munchkin: X-Men. 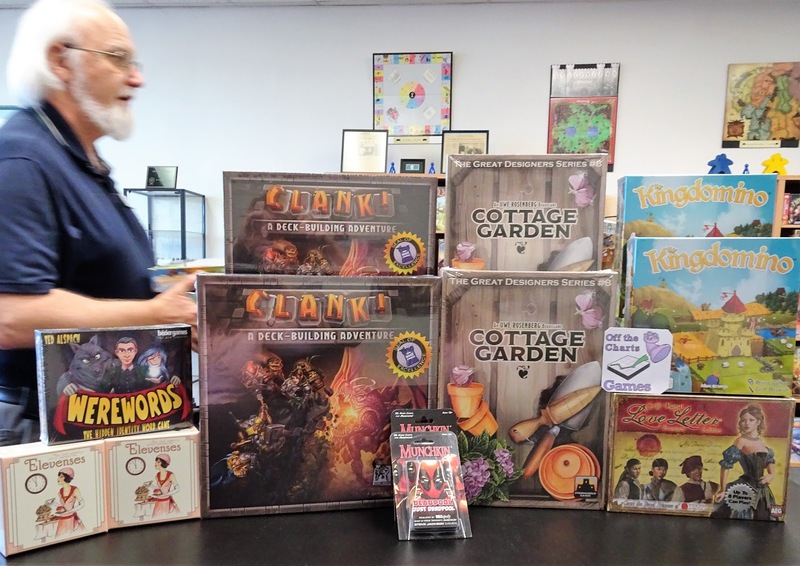 Katanas and Kittens and Cows...Oh my!Buy this expansion! It'll be so fun!There's cutty things, shooty things, and explody things!Speaking of, my wife Shiklah is a monster, literally, anyway, add this expansion to your existing deck, because who doesn't like a bigger deck? 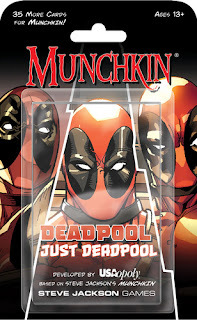 Marvel's anti-hero comes to life as he joins the monster-slaying, treasure grabbing and role-playing action of Munchkin, the card game.